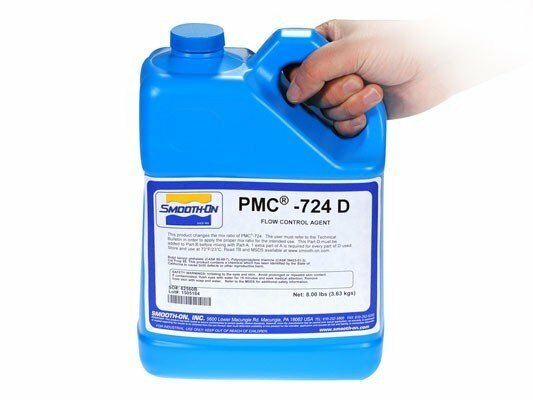 Used by artists and industry the world over for a variety of design, casting and special effects applications, PMC®-724 is by far the most versatile liquid rubber compound available on the market today. It is inexpensive, mixes and pours easily, and will cure to a durable rubber with negligible shrinkage. Typical applications include reproducing sculpture, creating special effects, making fiberglass panel & part molds, on-site architectural restoration and new construction molds. 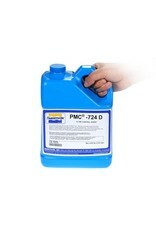 PMC®-724 PUTS YOU IN CONTROL! Using optional ‘Part D', you can thicken PMC®-724 to a paste-like consistency for vertical surface brush-on applications or for getting into those hard-to-reach undercuts. If you like to work with a more flexible rubber, optional ‘Part C' is available to soften PMC®-724 all the way down to a Shore A6. Important: This polyurethane rubber will last and perform in production, often for hundreds of castings (depending on what you are casting into the mold). It also exhibits good physical properties and chemical resistance. But PMC®-724 does not have a long "library life". Molds will soften and revert to a liquid within 2 - 5 years, depending on exposure to moisture. Smooth-On makes many different mold rubbers that offer a very long library life.